Eagle County is made up of many small communities, each as unique and diverse as the people who live here. The different areas show an incredible geographic diversity from lushly forested to spacious ranches. Vail Village is the center of town. With an outstanding number of hotels, restaurants and boutique shops right at the base of the ski resort, don't be surprised if you spend most of your time in this European village. 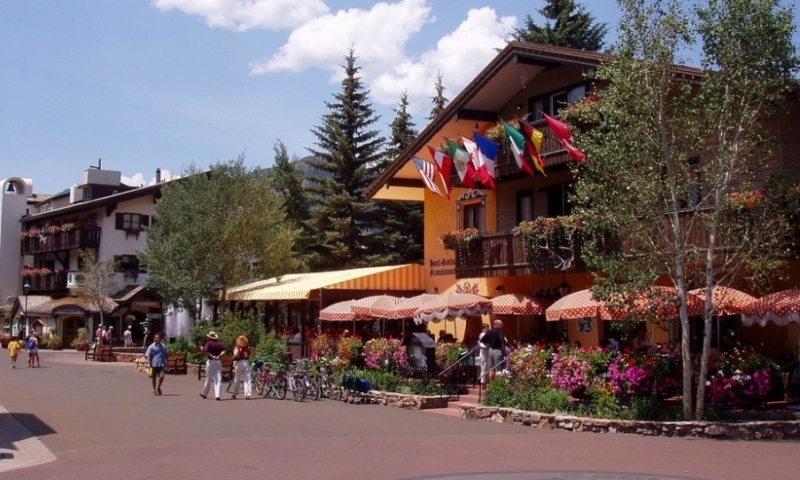 At the base of Vail Ski Area, Lionshead offers a variety of restaurants and shops in a more relaxing atmosphere than it's neighbor Vail Village. This residential area is close to the action at Vail Ski Area, but just far enough out of town to enjoy your own space. You'll find a variety of condos and vacation rentals. East Vail's alpine-like setting makes for longer winters and is a popular place to stay for adventure travelers who want to stay as close to the trails as possible. Don't forget about Vail's "little brother" of Beaver Creek. This family orientated village offers up a smaller, more relaxed mountain experience. Avon reveres its ranching and agricultural heritage while growing its reputation as the commercial hub in the valley. Historic Eagle, the county seat, is an original compact city, with a traditional main street lined with shops and cafes. Surrounded by stunning mountains Redcliff is the oldest, and perhaps most old fashioned, town around. Just 20 minutes from downtown Vail, Edwards is a bustling bedroom community packed with shops, restaurants, and services. Located along the Rockies Scenic Byway, Minturn has a charming downtown and welcoming community. Aspen Colorado is not far from Vail and the I-90 corridor. Explore Crested Butte, Gunnison, and west-central Colorado. Steamboat Springs Colorado is known as Ski Town USA.